A museum-quality reproduction of your artwork is hanging in this collector’s home. Here’s how it got there. From your studio to ours. The story starts with you and your artwork. When you complete your artwork, send it to Art Fifty Two for digital archiving. 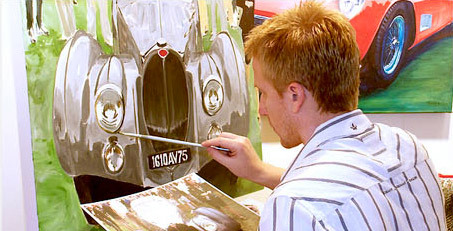 We'll create an impeccable fine art reproduction from the archive and help you market it online. We make it easy to sell your artwork, so you can spend more time in the studio. At Art Fifty Two, everything starts with our digital archiving process. As a new member, the first step is to mail us your artwork (don't worry, it's fully insured). We can provide sturdy "strongbox" packaging with prepaid return shipping labels to make the process simple and safe. Once we’ve created your digital archives, your artwork will be promptly returned to you along with a free reproduction for each piece of artwork. You'll also be able to download your digital archive files from your secure artist portal. Why is digital archiving important? It can take days, months, or even years for you to create a work of art — and once it's sold, the original is gone forever. With digital archives of all of your originals, the possibilities are unlimited. You can represent your work accurately online, sell open edition and limited edition reproductions, or use the image to create new mixed media art. Collectors can shop in confidence knowing that every Art Fifty Two print is a perfect reproduction with vivid color and fine detail—guaranteed. 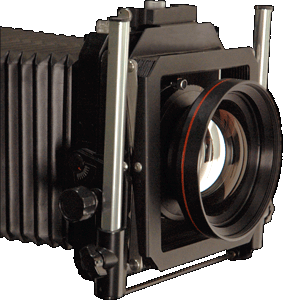 Our precision image capturing equipment is on par with systems employed by the world’s finest museums. Using high-resolution digital scanning sensors with large format cameras, professional graphic arts copy lenses, and state of the art HID studio lights, we work meticulously with each original artwork to ensure optimal lighting, accurate color representation and vibrant visual texture. 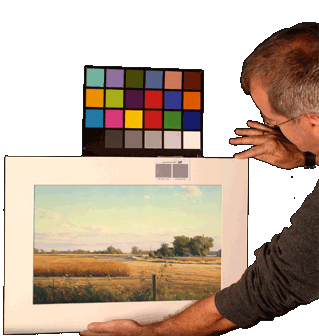 Our color management system ensures the highest-quality color reproduction of your work. Each of our fine art giclée prints are digitally prepared for a large-format printer and meticulously scrutinized by our team of printmakers to ensure quality and color correctness. We use only the finest archival inks and acid-free, 300 gsm cotton rag paper & DBA-free canvas to ensure long-lasting prints of the highest-possible caliber. Sell online with tools that put you in control. complete with a secure shopping cart. Tell the world about yourself and your artwork. 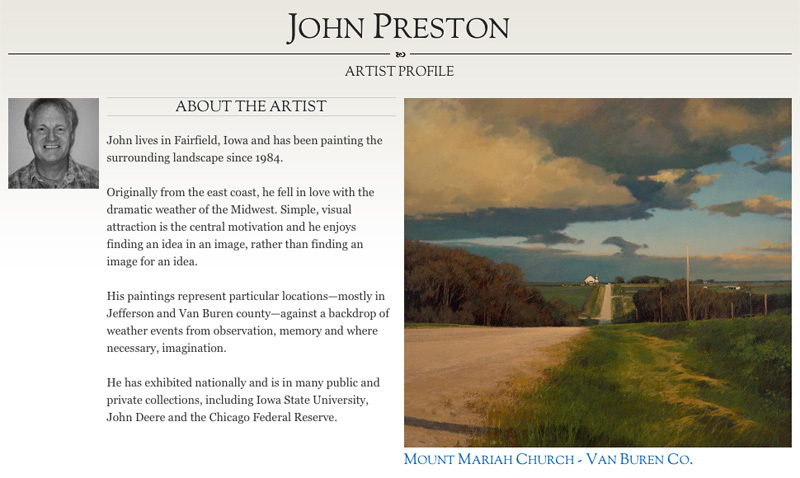 Share an artist statement and photo on an elegant profile page. 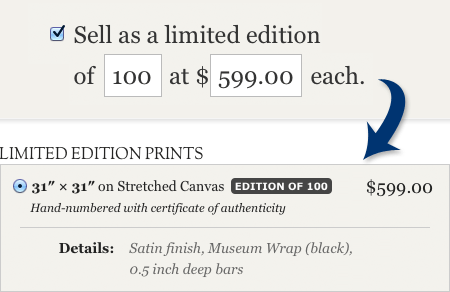 Set your own prices on prints and adjust them anytime. You can control the available print types and sizes and even create limited editions. Your artwork is yours alone and we won't limit how you sell it. Keep 100% of the commission from print sales, and retain full rights to all of your images. 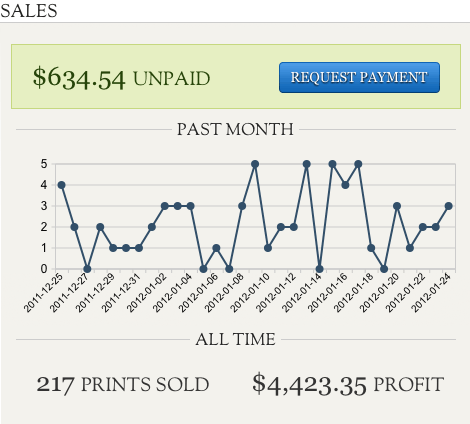 See your sales at a glance from your artist dashboard. You can request a payment at any time by check or PayPal. Join Art Fifty Two today & start selling online. Sign up now to submit your artwork. After your artwork has been received and digitally archived, you can download your image files, purchase prints, and set up your own online gallery.